Extra! Extra! Read all about it! Lovers of Hollywood and all of the drama that goes with it, step forward for bestselling author Josh Sabarra has a new fiction book coming out September 12th! 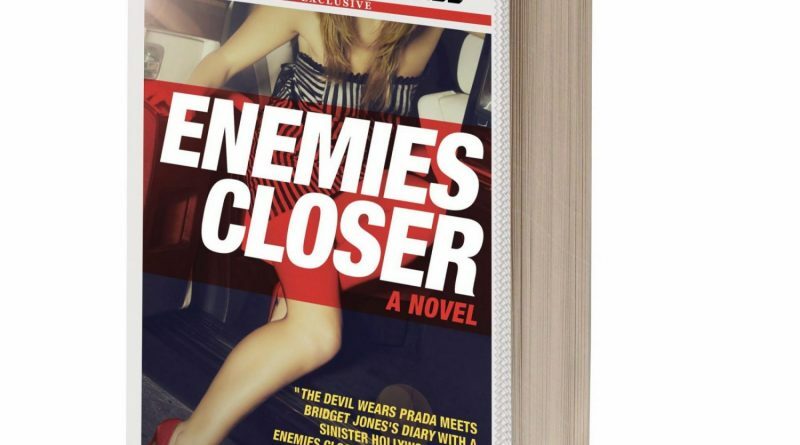 A book that, at first glance, looks like a magazine with the next hot scoop of Hollywood gossip, Enemies Closer offers so much more for its audience within its pages. Readers are not going to want to miss this new piece of fiction. Working in public relations as a movie studio publicist in Hollywood is not as glamorous as it may seem and Marcee Brookes is all too familiar with the grueling and thankless job. Over forty, overweight, and overworked, Marcee wishes for more in life. Her wish is granted when she meets Claire Madison, the wife of the legendary actor Rox Madison, for lunch to discuss her husband’s next film. In a quick turn of events, Marcee finds herself hanging out with Claire and her tightknit group of famous friends and also on the road to a potential romantic hook-up with the young and hot new actor Brent Wetherley. Relaying her new life with her mother, Rhonda, and her gay best friend, Jordan, everything almost seems too good to be true… that is, until everything begins to unravel just as quickly as it came together. Unable to undo what has already been done, Marcee must stand up for herself and, with the help of close friends and family, overcome the hell Hollywood has thrown her way. Enemies Closer is a fresh new story that will reach out to a wide audience of readers. Readers who love tabloids about the unnecessary drama famous people make for themselves? They will love the crazy drama Sabarra makes for his fictional stars. Readers who wish for a more exciting life and wish to live like characters in movies do? They will catch a glimpse of what it would be like and the saying “be careful what you wish for” will most certainly come to mind. Readers who work hard for little pay and no acknowledgement? They will find Sabarra understands where they are coming from through his main character, Marcee Brookes. All of this and more one will find in one book: a book full to the brim with intriguing storytelling about topics commonly found in today’s social world. 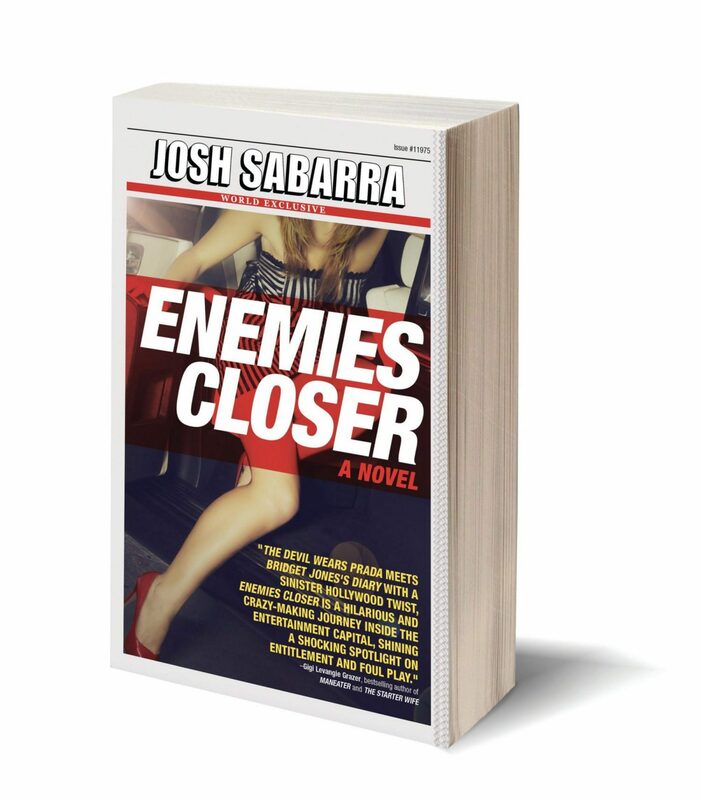 Enemies Closer will introduce readers to Sabarra’s writing style if they have not already read his memoir and what a joy it is to read. His sentences and ideas flow very well and each chapter ends in a way that will make readers want to know what is going to happen next. Anyone wanting to start this book should clear their schedules for this book is not one to easily put down. The characters within Enemies Closer are very well-developed with the highest praise going to Marcee Brookes for being the most relatable and realistic character readers will have come across in a book in quite some time. Marcee is a “forty-something” woman with no social life and no romantic relationship, but a woman who has a wonderful relationship with her mother and gay best friend who she goes to for support and love. She works ridiculous hours for a thankless job and has terrible stress and anxiety because of it. She is an everyday woman who is trying to get through life, yet at the same time, wishing for something more. She is a character that, yes, women will relate to more, but one men will find themselves relating to, as well. Claire Madison and her group of friends were also very intriguing characters. They are not all wives to famous actors, but rather older women who had made a name for themselves in their younger years and are starting to endure some struggles that come with becoming a “has-been.” Sabarra is to be commended for keeping each of the five women in this group so different and unique from each other in what they do/ have done for a living and in their personalities. Enemies Closer is a story that would make any gossip tabloid proud. It is a story to interest the social world of today. It is a story that will, surprisingly, make readers think for there is an excellent message within about acceptance. Marcee portrays an everyday person going through life, but wanting something more. Everyone who watches movies wants their life to be like those movies. Everyone wants to be seen, known, and heard. But if one were to be thrust into that life, what would they decide? Would they stick with the so-called “glamorous” life of Hollywood or would they return to the few who truly love and care for who they really are? A story with plenty of Hollywood drama, but also with plenty of heart, Enemies Closer is the book readers will want to pick up next.